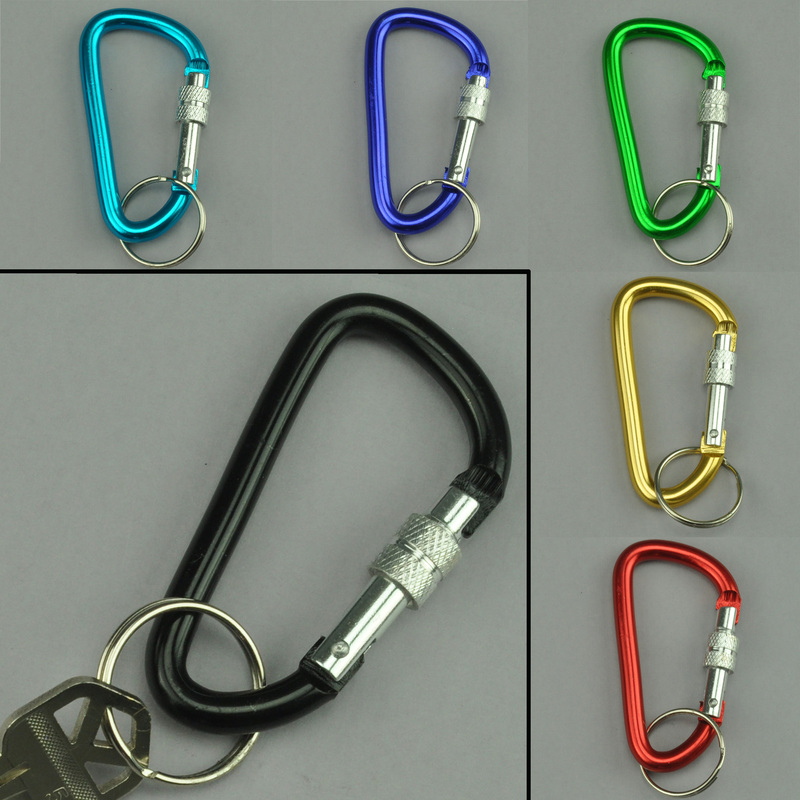 The large size carabiner with lock keyring is perfect for carrying keys just about anywhere. Also referred to as a 'climbers clip' because of it's origins in mountain climbing, the carabiner has adapted itself a worthy keychain. Sturdy, yet lightweight anodized aluminum is both functional and durable. The locking function operates by turning the knurled knob to lock the gate..